Alright. I want this. Who wants to donate? 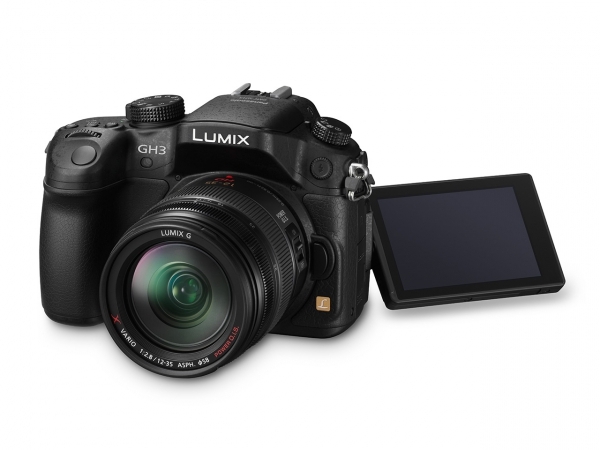 The new Panasonic GH3 is my current mirrorless camera of choice, provided the new 17 megapixel (16 megapixel output) sensor delivers on its image quality promise. It features a new AF system that promises to be really fast with a claimed 0.07 seconds acquisition speed, a new weather-resistant magnesium alloy body, twin control dials, new OLED 3" VGA screen and OLED HD EVF, 6 FPS continuous stills shooting, and the star of the show: 1080p videos at 60 FPS, in codecs that go from 50 Mbps to 72 Mbps, depending on the type. The layout system looks really good (ISO button in the right place), and yea, you can tell, I am smitten. There is no word on availability or pricing, but the latter figures I have been seeing include US$1300 to US$2000. I hope it's the former and not the latter. See DPReview's Preview! Panasonic also announced the optically stabilised 35-100mm f/2.8 lens. Weather-sealed as well, like the 12-35mm f/2.8, this is a small small lens. It weighs 360g, or 12 oz, and is about 10cm/4" long. Compare this to the 70-200/2.8s legacy DSLRs have to use. Again, no word on pricing or availability. Also, Panasonic teased two lenses, a 42.5mm f/1.2 and a 150mm f/2.8, but since these are development "announcements", don't expect them to come soon. In fact Panasonic lists 2013 to 2014 as possible dates.